Clinicians left their jobs and others were forced to blow the whistle after their concerns over “critical” safety issues at Glasgow’s newest hospital were ignored. 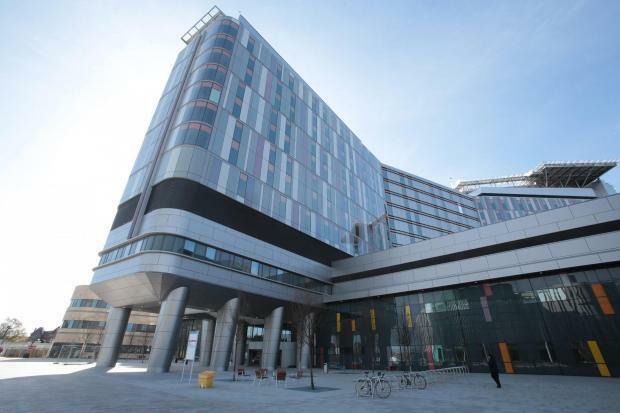 Microbiologists at NHS Greater Glasgow and Clyde raised concerns about the Queen Elizabeth University Hospital (QEUH) campus as far back as 2014, according to reports sent to a government committee. The allegations have come to light in a series of anonymous submissions made this week to the Scottish Parliament, as part of an inquiry into hazards in healthcare settings. Previously, NHSGGC bosses said they felt they had addressed any concerns raised by staff, despite a critical watchdog report last week finding they had failed to act. One report submitted to the Scottish Government by a retired microbiologist states three clinicians felt they had “no alternative” but to become official whistleblowers after health bosses failed to reassure them that their worries over safety were being dealt with. The report states: “Concerns in relation to the building specifications and infection control were first raised in 2014 with senior management. Some of the issues were addressed, many others were not. Microbiologists continued to highlight problems and concerns in 2015. There have been resignations of infection control doctors because of the difficulties faced. “These resignations resulted in the loss of experienced infection control doctor expertise. “It was very disappointing that we felt we had no alternative but to go down the whistleblowing route. In a second report, the author raises questions about the cleanliness of the plant rooms where pigeons were found to have got in to the new hospital. Two patients later became infected with Cryptococcus – a fungus which comes from bird faeces. A 10-year-old boy died after he contracted the infection, which has been linked to his death. Last week, The Herald on Sunday revealed the first images of the 12th floor plant room which had become contaminated, with several areas of the floor covered in bird droppings and an outside courtyard also badly soiled. The author claims infection control staff have been “sidelined” in the design process of new hospitals, and adds: “Quite simply, the design brief for any hospital needs to be patient safety, whether or not there is an ornamental pond or multiple restaurants. “Basic functions such as plumbing, ventilation and cleaning are fundamental... There is concern that recent newbuilds appear to have defaulted on vital systems. Indeed, it is likely that there are many hospitals in Scotland with these issues. A third anonymous report to the Government’s Health and Sport Committee states that the “highly politicised context” around problems with hospital environments is discouraging people from raising their concerns. An NHS Greater Glasgow and Clyde spokeswoman said: “The Health and Sport Committee announced their inquiry and invited submissions. A Scottish Government spokeswoman said: “As the Health Secretary has set out in Parliament, an independent expert review will be jointly chaired by Dr Brian Montgomery, the former medical director and interim chief executive of NHS Fife, and Dr Andrew Fraser, the director of public health science at NHS Health Scotland. The Government added that there were “robust measures” in place to monitor “infections and other harm” and explained that Healthcare Improvement Scotland, Health Protection Scotland and Health Facilities Scotland “provide a robust mechanism to monitor and learn from outbreaks and incidents”.